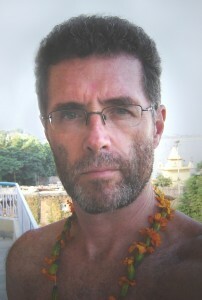 Alan Annand is an astrologer with 30+ years experience consulting and teaching. After graduating from the British Faculty of Astrological Studies, where he specialized in relationship and career analysis, he subsequently served as the Faculty’s North American tutor for five years, with students across Canada, USA & Mexico. He was co-founder of the Astrological Society of Montreal, and for several years was their President, principal teacher and media rep. During this time he was also a speaker at several national conferences. He later went on to study Vedic astrology and palmistry with Hart deFouw in New Mexico and California, and was subsequently certified by the American College of Vedic Astrologers. He currently maintains a practice as astrologer and palmist in Toronto, with frequent visits to Montreal, and distance consultations with clients throughout North America and Europe. Alan Annand has worked as a technical writer for the railway industry, a corporate writer for both the private and public sectors, and as a novelist and scriptwriter. Along the way he has also found real work as an underground surveyor, human resources manager, astrologer and palmist.